The moment when most people switch to laptops has finally come. BUT it’s not very pleasant when you have to work on your laptop, especially when it’s hot. The laptop gets terribly heated as well. Not only does this cause discomfort and your sweating, but it is also harmful for your health (One of our authors, Dr. Anatom, elaborated on this problem in his review of his cooling stand here). In addition, overheating is dangerous for the laptop itself (and for you, too – read our cooling gadgets review). Most likely, it won’t burn completely, as the safety latch will turn the laptop off. But there’s no pleasure in gaming if your laptop is turned off all the time. 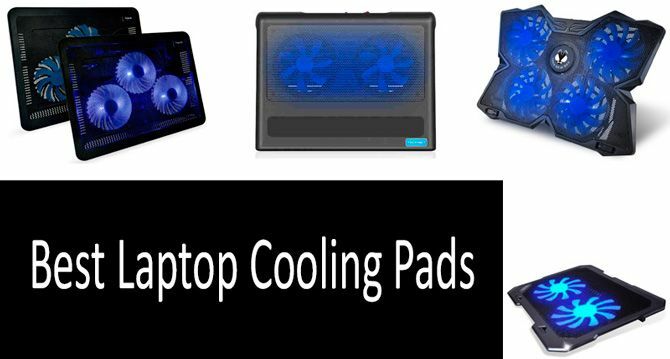 Here you'll find a comparative review of the 5 Best Laptop Cooling Pads. HOW TO CHOOSE A LAPTOP COOLING PAD? Dust is the first issue. It densely clogs the ventilation system very fast; the air doesn’t circulate properly inside the laptop, hence the overheating. Moreover, dust is a good thermal insulator. It will embrace your CPU and graphics card like a blanket and will warm them. That’s why you’d better clean up the dust at least once every 6 months. The old thermal compound is the second issue. This problem can be solved at home by coating the connection between the main modules and the motherboard with thermal paste, a special mixture for heat dissipation. It gradually dries and loses its properties. It’s best to leave this to the pros though. Weak coolers are the third issue. Even if you have a cool gaming laptop, the cooler may be small and low-power. The trouble is that there is absolutely no space inside the laptop for a proper cooler. Solving this problem is entirely up to you. Consider the eight important parameters when picking a laptop cooling pad. Most of them will depend on your own preferences, though. Type of cooling. There are two types, passive and active cooling. If you only need a laptop stand and it doesn’t get heated much, a stand with holes where the ventilation and cooling occurs naturally will do. If you have a serious overheating problem, you’ll need a cooling stand. The number of fans. If you opt for the second option, carefully choose the number of actual coolers. In this case, more is worse. It’s better to pick a model with one big fan rather than a few small ones. The former one will be more useful and less noisy. Noise level is an indicator of how much your ears will be stuffed. Competition is a great incentive and due to this, the coolers have evolved considerably and their noise levels aren’t crucial. Nevertheless, some models do have such issues. The parameter is usually measured in decibels (dB), so the less you have, the better. Fan power is, roughly speaking, directly proportional to the noise level. That means, the more powerful your fan is, the noisier it is. Many manufacturers solve this problem in a different manner. Size. This is a simple matter. The size of the stand should match the size of the laptop. You can pick a bigger stand, not a smaller one. You can also buy a stand right for your laptop or buy one with an additional tray for a mouse and a cup of coffee. Weight. This is an ambiguous parameter. There are three types of cooling systems, which we will cover below. They are stands, bed trays and floor systems. In the first case, the weight should be minimal, and in other cases, it should be perfect in terms of stability and lightness ratio. Design. This is a very subjective measure. The shape, materials, quality and colors are chosen depending on your own preferences, taste and budget. Additional features, such as a card reader, USB hub, speakers, illumination, speed regulation and other factors will make your life more joyful. We are about to list the five most interesting cooling pads that are very similar, yet each of them has its own unique features. Let's begin with a classic and well-known cooling device brand, Havit. You'll find two similar products with a standard flat design. Its advantage is mobility. The pad doesn't take up much backpack space indeed. Another benefit is that the net holding the laptop is made of metal, so that it can simultaneously relieve you from the device's heat (holla at AMD fans) and ensure the robustness of the design. Most users opt for a three-cooler option. 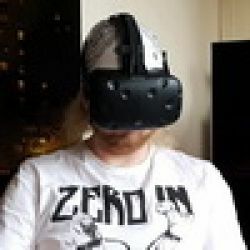 You only need a more powerful version if you are either going to simultaneously render a 4k video and play Far Cry 5 at max settings, or if the jacks have a non-standard location at the bottom of your laptop. In that case, five coolers will be sufficient to cover the entire area. This one is a well-deserved best-selling item (and just so you know, it's not easy to become one). This cooling stand has indeed become a real discovery for our editing team. First, the users were enthusiastic about its futuristic appearance instead of the usual classic as the new one claims to ensure improved aerodynamics. Indeed, if you throw it out of the window, it will fly better than other pads. Jokes aside, the wind will blow on your hands if your laptop is under 15.6 inches. It's up to you to decide whether it is an issue. We haven't noticed any buzzing, and I especially liked the front legs. You can incline the pad with their help for working on your lap or at your desk, or keep it standing for better cooling while watching an episode on Netflix. This is one of the most popular laptop stands (over 10,000 customer reviews on Amazon.com). No wonder it is among the best sellers in the Laptop Cooling Pads category. This light and thin pad for your laptop has one big fan. It can be used as a board or as a stand if you rotate its back legs. This will be convenient if you use Cooler Master NotePal X-Slim when working at a desktop. The device is minimalistic and no additional features are available. The lack of a hub is offset by the fact that the pad won’t take up any jacks you will connect through a plug. This pad will be suitable for most laptops as it can fit devices up to 17” wide. TopMate Gaming Laptop Cooler is quite large in comparison with other products. It comes with five average-power coolers (the four outer fans and then the large center Super strong wind fan), display and two USB 2.0 ports. This is another reputable decent option. This is a great rate! TeckNet is a well-known brand among the connoisseurs of reasonably-priced computer devices. Current users of the cooler agree that it is stylish and pretty enough, even for a MacBook. Another advantage of this cooling pad is its thinness as it is very portable. Different stores sell the same product for different prices, so please check the current price before buying an item. Oh, finally I found a solution for a problem laptop! Already ordered, now I'm waiting :) Thanks for simple solutions to problems!